Star War Games: In Star Wars Lego Ultimate Rebel, choose your lego spacecraft and take off to 7 different planets, ranging from dry desert to green forest. At each planet, you must find the exit and escape. Destroy all enemies along the way. Collect three spaceship parts in each planet as you drive around to earn bonuses. Different spacecraft have their our purposes, for example small ones can fit through places others can’t, some fly low to the ground, and some have more fighting power. Choose wisely. 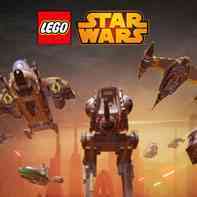 Have fun and enjoy playing Ultimate Rebel – Star Wars Lego game.